Learning how human actions on the land can affect our natural environment is a critical step in the process of addressing and resolving these issues. 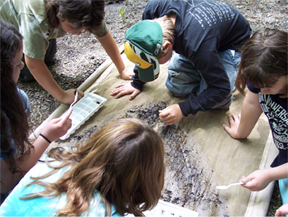 The District’s strong and ever-growing educational programs such as the Envirothon and Don Hartman Conservation Leadership School address these issues with school students throughout the county. It is vitally important to expand our programs to educate all residents, enabling them to make informed decisions. Continuing to enjoy the quality of life we have become accustomed to in Berks County will only be possible by maintaining the quality of our county’s rich natural resources.